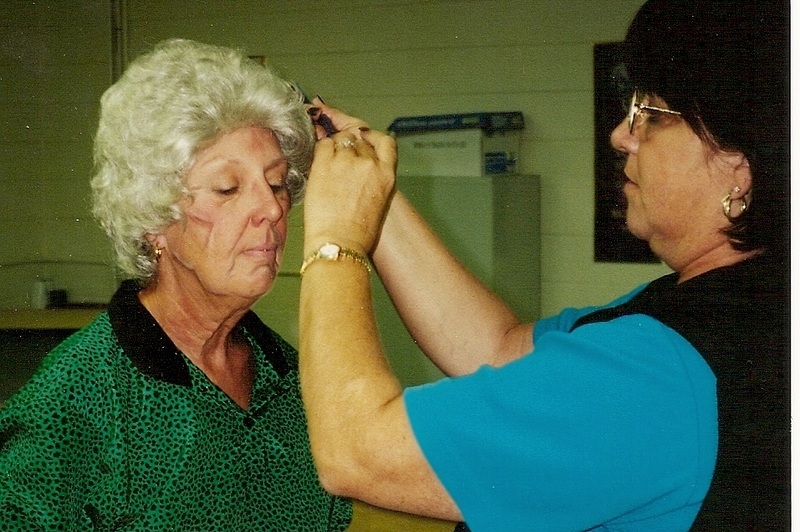 On Stage or Backstage--We Can Use YOUR Talents! Auditions for roles in each OCT production are open to anyone who is interested in performing. No prior theatre experience is necessary. Actors must attend all rehearsals and performances. We do not use understudies. 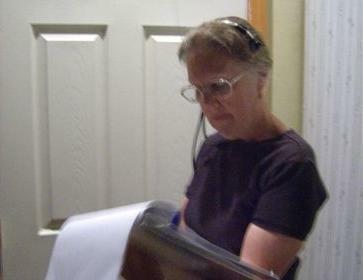 An assistant to the Director, the Stage Manager supervises the cast and crew during performances. He or she stays just off stage, but is in touch with the sound and light crew in the tech booth and assistant stage managers on the other side of the stage via wireless intercom. The Stage Manager is expected to attend all rehearsals and must be present for each performance. There are other responsibilities, including recording the Director's instructions, and giving line cues as the cast begins to work off book. Previous experience as an Assistant Stage Manager is helpful, but not absolutely necessary. One or two Assistant Stage Managers are used backstage for each production. They assist per-formers in making their entrances at the appropriate times, and help assure that actors have the necessary personal props. They tell the Stage Manager whether the actors are in position. Assistant Stage Managers act as the Stage Manager's eyes and ears backstage for all technical preparations, and also help coordinate the set changes called for throughout the performance. This is much easier than it sounds! Volunteers are needed to hang lighting instruments for each show, place color gels on lights, and focus the beams. Plus, during performances, an operator is needed for the lighting control board and for the spotlight, if used. The computerized lighting control board is simple to operate, merely requiring the push of a button at proper times during the performance. The operator needs to be present at rehearsals during the week just prior to show dates, and for performances, to execute the lighting cues. No previous experience is necessary. The individual who operates the sound control board works in the booth during the show to maintain voice and music volume levels, and to insert recorded sound effects, as needed, on the appropriate cues. This person is expected to be at rehearsals during the final week or two before show dates, and at all performances. No previous experience is necessary. We will train you! The Props Master works with the Director to decide what props are needed for the show, and then coordinates the gathering of those items. This may involve pulling props from our storage and/or locating props from other sources to be borrowed or purchased. The Props Master is also responsible for making certain that props are returned to the proper place after the production closes. The Props Master may or may not be a part of the stage crew to pre-set props for actors, and then to put them away after each performance. 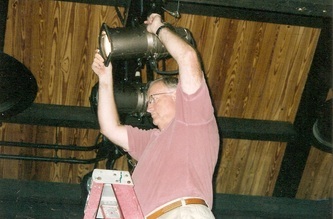 The Props Crew works behind the scenes to assure that all props are in the correct locations before and during performances, and are put away after each final curtain. They must be on hand for the final week of rehearsals and for performances. No previous backstage experience is necessary. This is an ideal position for getting to know the "how-tos" of backstage work. Volunteers are needed to help build and paint sets which have been designed for a show. This work is usually done on Saturdays beginning at 9:00 am. While individuals with carpentry skills are certainly valued, no such experience is required. A willing attitude is the most important asset. Tools and building supplies are provided. Some costumes may be purchased or rented, but others must be created to specifications for a show. Costume Assistants work with the show's Costume Lead to create new costumes, or to alter existing ones. Such volunteers may be called upon for sewing, or for decorating hats or shoes, etc. 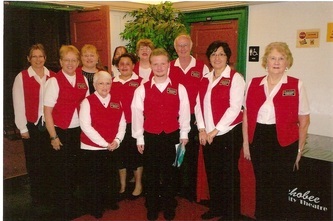 A crew of ushers is coordinated by the House Manager for each performance. Ushers come to the theatre an hour and fifteen minutes before curtain time, and then serve as the theatre's ambas-sadors of goodwill, welcoming our patrons and assisting them in finding their seats. Some mem-bers of this crew may also handle the sales of concessions during intermission. No experience is necessary, but good people skills are very important. A single person is needed prior to each performance to be in the box office to sell tickets for that afternoon's/evening's show, and to distribute tickets to patrons who have purchased them in advance on a "will-call" basis. Good organizational and people skills are important. don't fit into these categories.